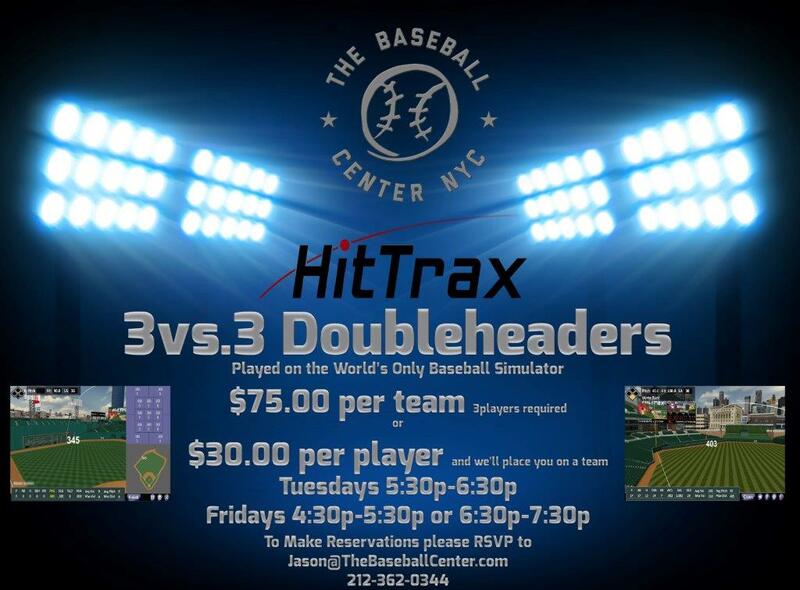 Come play on the World’s First and Only Baseball Simulator – Now @ TBC. Take the field in a Big League Ballpark for a round of batting practice, experience the excitement of Game Play against friends, or climb the leaderboards of our Age Appropriate Leagues & Tournaments (8U – 40U+), Home Run Derbies & Long Ball Contests. From the 8u Little Leaguer to the Die-Hard Softball Player, each at-bat allows you to stare down the Green Monster in Boston, Tickle the Ivy in Chicago, or show off your hometown pride in both New York ballparks. For the student of the game, the HitTrax Analytics Module features real-time hitting metrics including Exit Ball Velocity, Launch Angle, Distance, and Overall Line Drive %. Contact Jason@thebaseballcenter.com and experience the excitement of a Big League Ballpark inside the training cages @ The Baseball Center NYC!